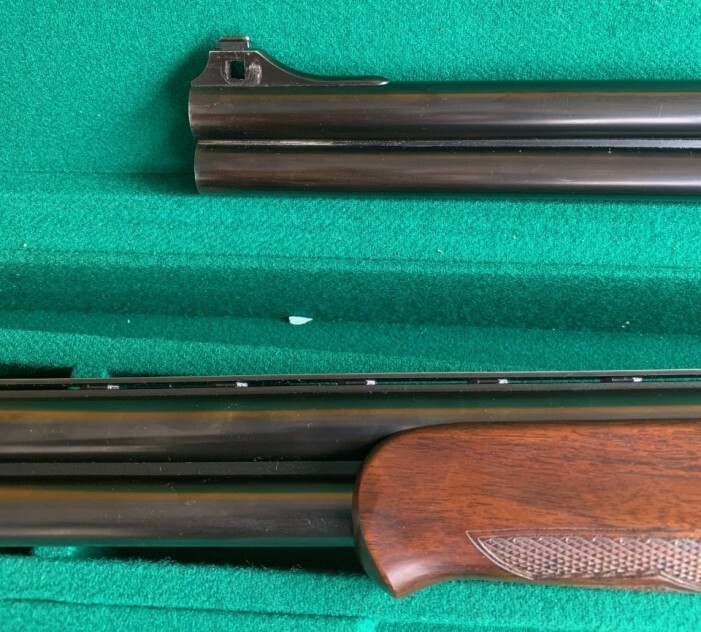 #9643 Chapuis O/U 12 Ga 2 barrel set , Shot and Slug. A Chapuis model Odegaard made in 1981, cased . The slug Barrel is 22” with the lower tube rifled. Both bores measure .721 ( groove at 729) chokes are CYL and CYL. Tubes and chambers are shinny. Blacking is 85% ¼ rib and bead front sight on island. Individual tubes are accurate , regulation is ok with 3” groups at 25 yards with Winchester 1oz slug (1600 f/s). I think it was meant for slug in the rifle tube and buck shot in the top tube. 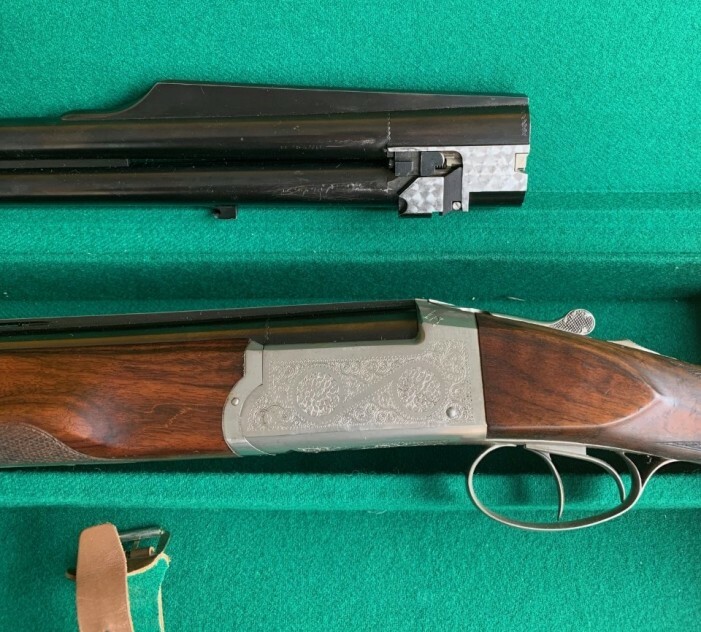 This barrel would also be a great on grouse with the rifle barrel acting as a spreader. The 27 ½” tubes measure .728” and .728” with .015” ( mod) and .035” (full). Both chambers and bores are shinny. Blacking is 90% plus. Blitz action , coin finish with 75% rolled engraving coverage, double trigger, manual safety, ejectors. Straight grip walnut stock with short tang, LOP is 14 5/5” over a ¼” Plastic plate, drop is 1 ½” and 2 ½” , cast off ¼”. 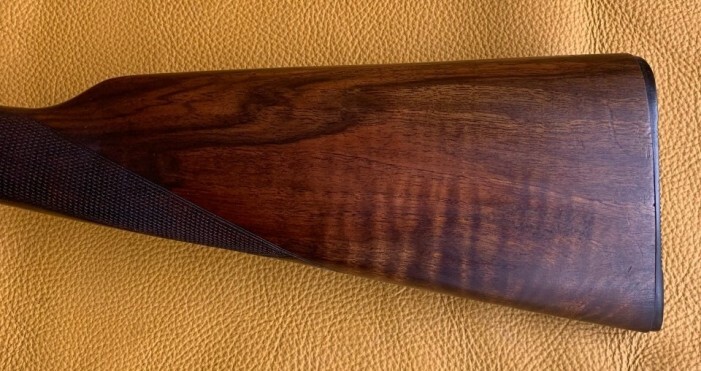 Forend is semi beaver tail with small Schnabel, wood finish and checkering are in 90% original condition with light dents and scratches.